The carrot was dangled and it really was just a matter of time when the journalistic minds starts to take over. Hop, Step. Jump and and the Rabbit not only Hopped as after pleasantries and filling the stomachs the main menu remains to be discussed. The first topic obviously was regarding SNAP who was given a new lease of life and the Secretary General Stanley Jugol said SNAP was once in BN and now they are in alliance with Pakatan. This doesn’t mean that we will not have our say as they have already informed the reasons why they are pursuing with Anwar and in the Pakatan fold. If after the elections Pakatan does not keep to their promise and if BN does approach them its the offers that is on the table and uppermosts its the Oil royalty. We do not want to be like before,”A prisoner in our own party and to him BN is a Prison for the dayak YBs where the land is taken and the Minister is so powerful whereas in other countries the land is auctioned by the government and not taken and also that the Oil royalty should be more than 5%. Do you hear any of the ministers requesting for more as doing so will make the ruling Federal BN government unhappy. These land belongs to the people of Sarawak and as peoples representatives they must not keep quiet as they are more or less like Prisoners. The Ybs must wake up and they must not be in their “prison’ but defending their rights says Stanley. The DAP assemblyman Voon Lee Shan concurred with the SNAP SG and he continued by saying,”this information should get to the ground and the more we harp on it the more BN will be on their toes. 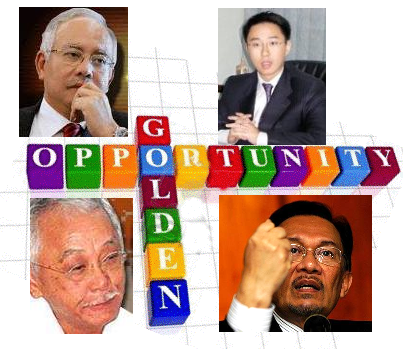 Look at whats happening in Eqypt and Tunisia and very soon elections will be held in Sarawak. 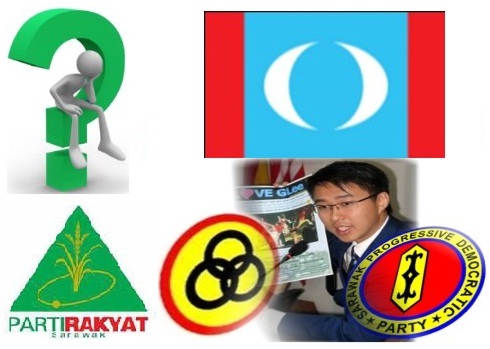 An opposition supporter said to audie61,” Could Voon(DAP) and Ng Dominique(PKR) use the SNAPs symbol if they are not picked by their respective parties to stand. What do you think? They are so friendly with each other and this might justs be a start of a New Alliance. Nothing is impossible they say in Politics which is very often being used by the PKR Padungan assemblyman Dominique. 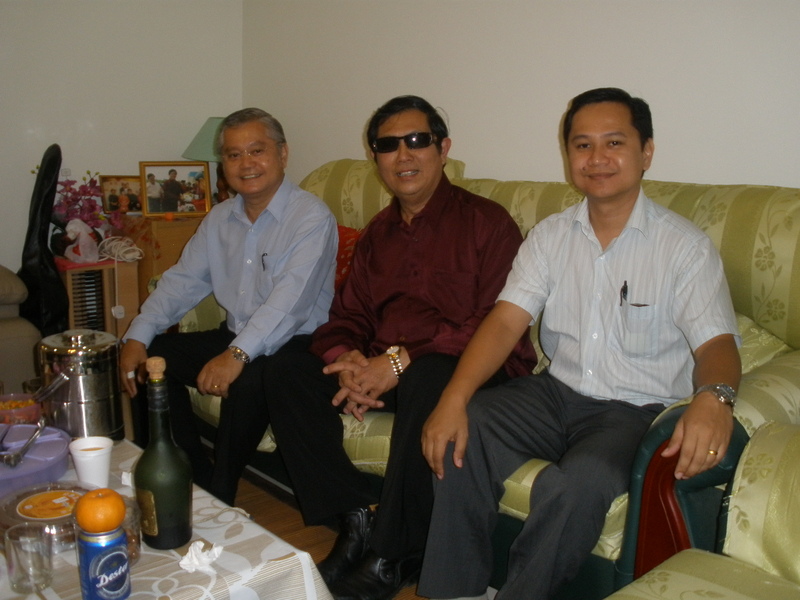 The year of the Rabbit will make many YBs hop and it seems after Chap Goh Mei the main talking point would be Elections,elections elections….. FANCY THIS..Isn’t this just great? Senior Sng with his band of brothers meeting Anwar in Kuching at the Grand Continental for Breakfast while Junior Sng partyless but a true blue BN assemblyman meets up with PM at the Marriot in Miri sweating it out and needing to carefully pick his words to stay relevant for the BN. What did he Whisper..?? The comments from the article which has been uploaded is enough to make one think. Broken Foot:-It cannot be denied that Anwar has every right to have breakfast with any one he chooses. More so it is done in the glare public. He must also remember he is the ‘defacto’ head of a political organisation. Thus he’s every move is watched by both sides of the political divide. Rumors are bound to spread. In the Malaysian context, most rumours has turned out to be true. Sarawakian_3ff9:- Anwar should be aware that Sng is a die-hard opportunist who never miss a chance to promote himself and his son Larry. And in the process, he doesn’t give a damn whom he step over. His fingerprints are all over whenever the party he was involved in ended up in shamble. He doesn’t mind footing the bill as long as he is handsomely rewarded. He’s still buddy-buddy with many figures in the BN because of business opportunities. I won’t touch him with a six-foot pole. audie61 made a number of calls after receiving a number of smses many of which with similarities,”What do you think of the breakfast meeting. ?” One staunch Anwar ally for now said,”Sng always does that and he will wait for Anwar and impose himself” while another analysts said,”He wants to win no matter what happens and will do whatever to protect himself and family at the expense of others. Once a Party President even said to a friend ,’These type of people are in short supply and no matter what you have to respect their actions and making opportunities work in their favour. They are useful in times of Chaos and penetrating the enemies fortress and they will not even BLINK an eye when its done. Peter Gani is part of the team of 5 YBs and 3 Supreme Council who were very unhappy with President Mawan who according to them has turned back on the original party status quo. Mawan has steadfastly stood by his decision and many poiltical analysts has only words of praise and truly feels Mawan is a leader to be reckoned with a far sighted vision which augurs well for SPDP and BN. He not only is not afraid to stand by his decision but he feels that the majority needs not be shaken and bowing to the demands of a few and being dragged in to create unpleasantness will jeorpadise the good work of many who has built the party which is truly multi racial not only in spirit but also in numbers. Know your local conditions and local terrain well and you will go into the elections not with one arm behind your backs. A village dayak elder was quoted to have said that the symbol and flag of SNAP is very much alive in the eyes of the ‘ rural dayak community’. There is the sentimental feeling and attachment of being the VOICE of the people as the party was very much fighting for the ‘ livelihood and rights ‘ of Sarawak. Moreover they were very much with the government and were unceremoniously left on the sidelines to fend for themselves when the infighting took its toll with PBDS and now SPDP. 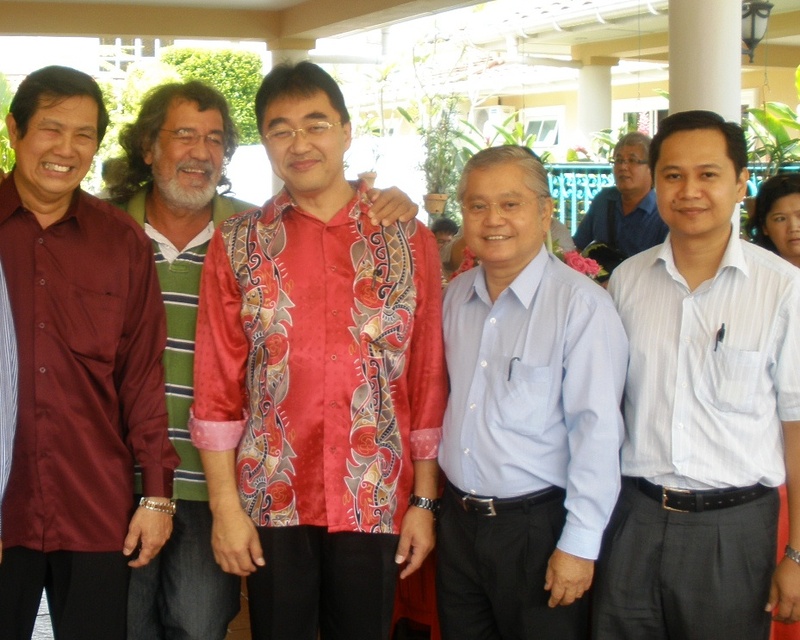 The Pakatan partners of DAP,PAS,PKR are with the local based Sarawak partner in SNAP. 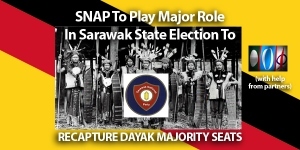 A phone call to the SNAP Youth chief Dayrell Jugol to check on the party’s role and he said,” We are now strengthening the party and we know they are 29 Dayak majority seats. We have to be ” reasonable ‘ and he concurred with Paul Kadang newly appointed Deputy SG and director of operations that whatever seats to be contested must be negotiated and they are working together as “partners” to fight a common enemy in Barisan National. No one holds the final say and its up to the Pakatan coalition to ensure that we work together for a common good in wrestling the seats from BN. The idea of contesting in 29 seats by SNAP is of course’ wishful thinking” put up by local based political analysts. SNAP ALONE WILL BE ANNIHILATED. 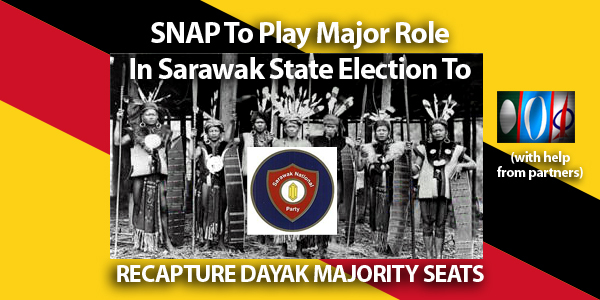 We must know that PKR,DAP has also got ‘ dayak calibre ‘leaders in their ranks and also those who stands a better chance than our SNAP candidate. We must stand “united” and ‘unbreakable” to go into the battleground with one aim. THE SKIRMISHES OF LATE WILL ENGULF IN A FULL SCALE WAR…….. SNAP Losts in Logjam Direction…. Let me say it again and is there any logic on this,”Balui and Baleh are tributaries of Batang Rajang. Murum River (which is above Bakun) is a tributary of the Balui, while Sungai Melatai is a tributary of Baleh. 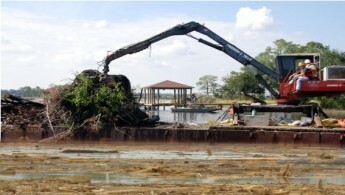 So how could debris in Murum floated overland to Baleh, by-passing Bakun Hydro-electric Dam? Though he is unhappy he said that there must be answers and the people of Kapit will not want unfounded and misleading statements from people who dont know their facts.